This is the most recognizable symbol of France. Frequently requested for couples planning a wedding or honeymoon in Paris. 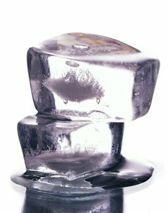 For Bastille Day we often transport this ice sculpture to hotels in France, need we say more ?